Rebuilt SQL Indexes on Core/Master. 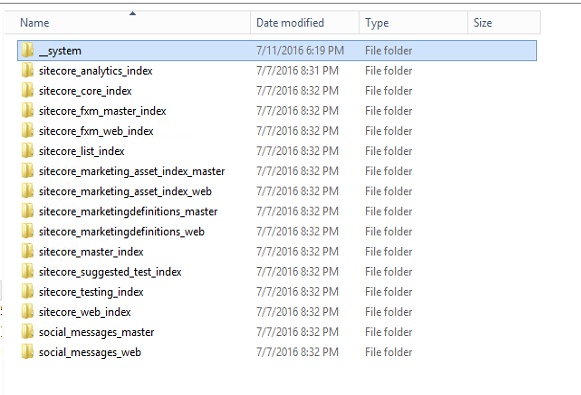 Rebuilt the Search index for sitecore_master_index. I came across this post: https://himadritechblog.wordpress.com/2014/05/25/sitecore-application-hangs-due-to-permission-issue/ and almost instantly dismissed it. This points to an issue with lucene. We’re configured to use Solr. Shouldn’t be a problem. Now I’m not sure why the other indexes show a folder-mod date of 7/7, but the data inside is indeed quite old. However, when I go into __system, the data is VERY current. I killed IIS and then granted NETWORK SERVICE full control of that folder. I started things back up and magic was happening. No more hangs/freezes. I may have cried a little bit more. Rob, thanks for this post. I had the exact same issue, and was also using Solr. I made sure my permissions were correct on that indexes folder, and it still didn’t help. I ended up deleting everything in that folder and things instantly started working. I cried a bit too!